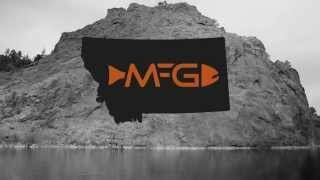 Location: MFG is a Montana fly fishing outfitter based in Livingston, Montana, which is located just north of Yellowstone National Park near many famous rivers in Paradise Valley. About your host at Montana Fly Fishing Guides: Eric Adams, Owner. Eric Adams grew up in the Mid-West chasing trout throughout Michigan and Wisconsin. His obsession for all things fishing began a journey that has led him to numerous states and countries pursuing dozens of species of fish on the fly. This passion led him to an undergraduate degree in Environmental Biology and a Master’s degree in Ecology. This background allows him to convey a unique perspective while guiding ensuring a day on the water is an educational experience. He can use this education to translate the fishing, the surrounding ecological landscape, and most important techniques that put a bend in your rod. This lifelong journey eventually led Eric to the of trout capital of fly fishing in Livingston, Montana. Float and Drift Boat Trips: Southwest Montana offers some spectacular rivers that can only be fully appreciated from a drift boat or raft. Our guide staff have spent years learning the hundreds of miles of river we float in order to find our anglers the best fishing available. We recommend these trips for anglers of all experience levels. Walk and Wade Trips: Our Walk Wade fly fishing trips take place on a number of rivers including locations in Yellowstone Park, local area spring creeks and some special “No-Tell-Um” Creeks. We recommend these trips for anglers with more than beginner level experience as the casting and mending techniques needed are a bit more advanced. Half-day Trips: We encourage anglers to enjoy as much fishing as possible, but sometimes lack of time gets the better of us. Our Half-day trips are a great solution. There is so much water in our backyard we can usually be fishing in just minutes. Take advantage of a 4 hour float or walk wade trip even if you just have a part of the day. This is great way to introduce beginner anglers to the sport as well as enjoy some quality time on the water. To select and book the top suggested hotels and accommodation in the area when fishing at Montana Fly Fishing Guides click here. by car or public transport to Montana Fly Fishing Guides. Had a memorable trip .Really enjoyed our guides. Especially Tony. Their instructions cleaned up our casting and put us on trout. We are going to make this an annual event.